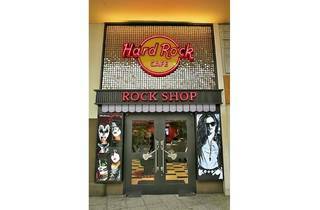 Slightly smaller than Hard Rock Cafe Roppongi, the other Tokyo branch of the world's most recognisable rock'n'roll restaurant has been open since 2002, but underwent a complete renewal in early 2014. 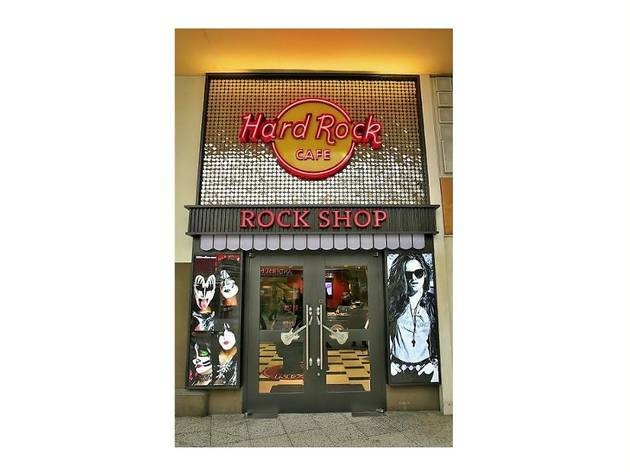 With its 7am opening time and its commuter-grabbing location (you'll find it in Ueno Station), there is perhaps less of a sense of occasion about dining here, although – like most Hard Rock Cafe establishments – there are a number of interesting items in their memorabilia collection. Look out for the white jacket worn by Michael Jackson on the 1984 Victory tour, a lap steel guitar used by Ron Wood and Keith Richards of The Rolling Stones, one of Madonna's black blazers, a tweed cap signed by John Lennon, one of Jon Bon Jovi's guitars and, er, Justin Timberlake's jeans. More rock'n'roll than you can shake your chopsticks at.